John Hunter captured his first win at Martinsville in the snow delayed Alpha Energy Solutions 250. 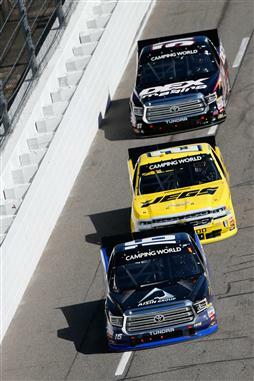 Nemechek took the lead on a restart with thirty-one laps to go and fended off Rookie Kyle Benjamin by a mere 0.106 seconds. 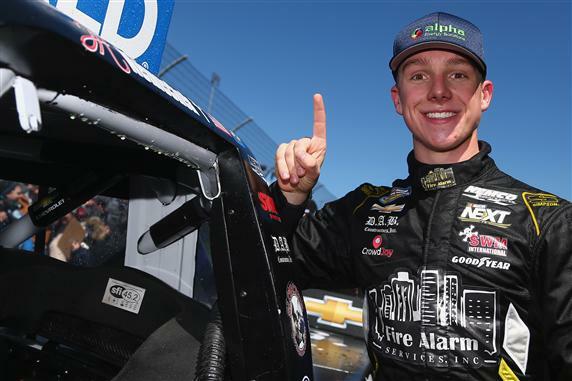 "I've finished second here multiple times, so tick-tock we finally got a clock," Nemechek said of Martinsville's signature grandfather clock trophy. "It's going to be awesome to take that thing home." Nemechek, son of NASCAR driver Joe Nemechek, was one of six drivers to stay out during a caution on Lap 216 of 250. He did not hear his crew chief’s order to pit. Therefore, he remained on the track and hoped for the best. 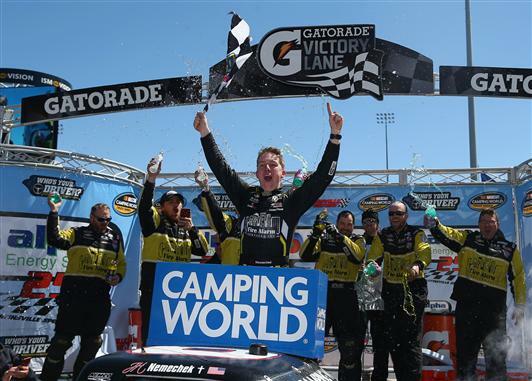 “We just had to stay out there and I didn’t know if we were going to be able to do it,” Nemechek explained. “I can think everyone enough that pours their heart and soul into this deal. There are only four guys at our shop this year. Second place finisher, Kyle Benjamin was able to get alongside Nemechek on the final lap but couldn’t complete the pass for the lead. “It was pretty close right there. 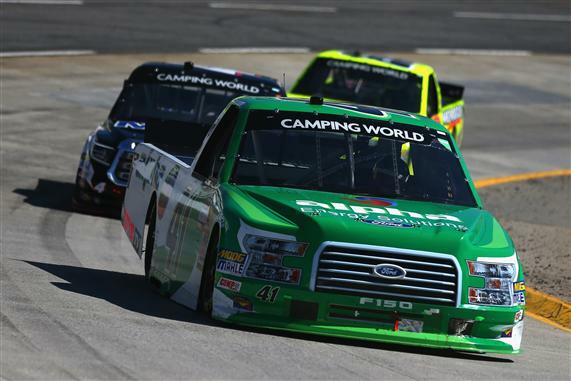 We had a pretty good truck on long runs and unfortunately it came down to a short run,” Benjamin said. 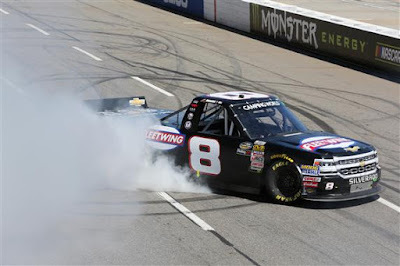 “It’s Martinsville so I figured I needed to give him a run for his money coming off (4) there on the last lap.